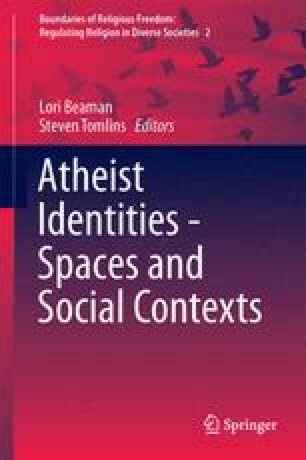 LeDrew uses a comparative approach to highlight the different ways in which atheist group identity is being expressed. LeDrew begins with a historiography of two branches of atheism: scientific atheism and humanistic atheism. He describes scientific atheism as originating in Enlightenment-era rationalism and the natural scientists, explaining that scientific atheists see religion in terms of its explanative function. Humanistic atheism, on the other hand, derives from the social sciences and humanistic atheists understand religion as a social phenomenon. LeDrew explores how these two ways of understanding the nature of religion contributes to tensions between and within groups of atheists and humanists, particularly with respect to the desired goals of social movement activism.